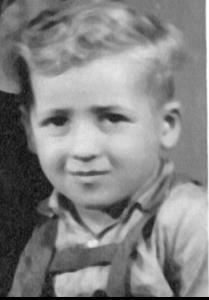 Jeno (Jolli) - child survivor A7734 from Auschwitz, 4.5 years old at liberation. Born in 1940. AVAST has 180 million users across the globe, and we speak to them every day in the form of our pop-up notification that tells of a virus database update. What if we could use our massive ability to crowd-source and help Mr. Bodner’s message “go viral” by telling our users about his search? Maybe, just maybe, someone among our 180 million users can provide a clue to Jeno’s fate. Please follow the Facebook page dedicated to finding Mr. Bodner’s long-lost twin brother, A7734. If you have information that could help find Jeno, please share it there.